Book a tutor specialising in early childhood education. Book a tutor specialising in primary school education. Book a tutor specialising in secondary / high school education. Ensure your child receives the full attention of the teacher without competing with classmates for assistance or results and arrange one-on-one tuition with Progressive Home Tutors. We Provide learning programs for different ages, early childhood, primary year, and secondary year levels. With our private tutoring sessions, you can expect the best learning experience for your child. Learning doesn't only happen in the classroom. Contact us and find out how our qualified tutors can help make a difference in your child's learning experience. 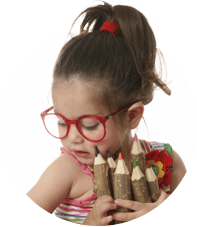 Children deserve the best education to discover their potential and enjoy the wonders of learning - Progressive Home Tutors remains true to this promise. We are a leading tutor finder company in Perth, Brisbane & Adelaide with over 900 qualified teachers. We have tutors available for any subject and year level, providing top quality education for their children. Our private tutors can assist with reading, writing, spelling, literacy, physics, maths, English, and secondary subjects. Whether your child needs special education or assistance for exam preparations, Progressive Home Tutors will be your child’s support. As a tutor finder in Perth, we understand that most children dread boring schoolwork and prefer to play with their peers. 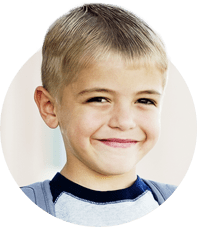 At Progressive Home Tutors, we’ll help change that mindset and make learning a fun and enjoyable experience for your child. Our programs are designed to suit individual educational needs of students, so they can study at their own pace and avoid the pressures of learning. Our teachers also strive to establish rapport with students to provide full attention, maintain a more personal connection, and make tutoring more interactive. The service from Progressive Home Tutors was Very good. it helped our daughter catch up somewhat. The tutor herself was lovely, however, she had a very abrupt no nonsense demeanor but this worked very well with our child who finds it very hard to listen/concentrate. I would not hesitate to use again them and will consider in the near future. I am happy with the Progressive Home Tutoring and the teachers are very happy with the result of the work. And I am also getting a good feed back from the School. Freda has been the best thing to happen to my son. Her help and encouragement has been absolutely invaluable to our son. We can’t speak well enough of our tutoring experience. The service provided was excellent and the tutor you organised was well matched to my son’s needs. Very helpful and the tutors that I have had (still have) are amazing!! When the first tutor had to unfortunately leave, Progressive Home Tutors were in contact with me straight away with a replacement. My daughter’s grades have gone from failing to A’s and B’s. I recommend you to others. Very happy here!! Tutors are reliable, knowledgeable. Maybe need to discuss child more in depth to ensure good match for student to feel comfortable and willing to learn. Quick, responsive and quality information provided. Nothing else to compare to but found the service very good. Marie has a wonderful way with our son, and he looks forward to seeing her which is great because he wants to learn. Thanks to her patience and help, he has improved and with her assistance I am sure he will continue to improve. The tutoring sessions we have been having for Ryan have been going very well, thank you. An improvement has been noted by his teacher, although he has a long way to go as yet. Ryan has a very good rapport with his tutor, Michael, and I think his confidence is benefiting as well. 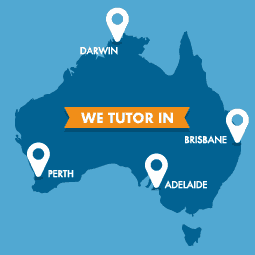 We are home tutor specialists, focused on home tutoring for early childhood, primary and secondary students in Perth, Brisbane, Adelaide and Darwin.